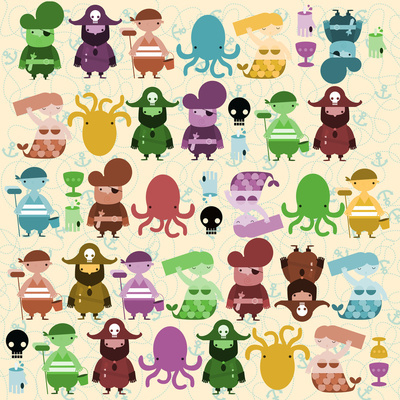 It’s a preschool pirate song today. Susan Salidor, a Chicago children’s artist has created a super-fun, high energy version of the old classic, Over the Deep Blue Sea. This song gets my whole class jumping aboard pirate ships and then swaying (or running!) back and forth. When teaching this for the first couple times, before pushing play, I always take the time to get everyone moving the same direction. It doesn’t matter which way you start as long as you’re consistent. The chorus says, “Go this way, that way, forward, backward, over the deep blue sea.” The “this way” and “that way” is a set up for collisions if kids get going too exuberantly in opposite directions. If you’re doing this with a couple of kids at home, you’re probably fine—unless you have kids that just love to stand really close to each other! 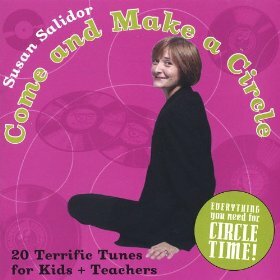 She also has “Come Make a Circle 2” and “Come Make a Circle 3” so if you like what you hear of Susan, that’s enough music to keep you listening for quite a while! Find Over the Deep Blue Sea on Amazon or itunes! Yarrrrgh. If you’re enjoying these Handpicked weekly recommendations, subscribe and share them with a friend!